24.03.2013. Frederik Paulsen Jr., co-founder of the Marussia Beverages, and Andrey Khizhchenko, Director General of Marussia Beverages Rus have commented the progress of Georgian wine industry on the Russian market to Georgian news site Vestnik Kavkaza. Paulsen and Khizhehcnko said that many companies were unprepared to Russia's lifting its embargo on Georgian wines in Russia. Tastes of Russian consumers have changed, and the only way Georgian winemakers could satisfy the new preferences was by improving quality and implementation of new technologies, the experts said. Paulsen noted that 30,000 bottles of Georgian wine were at the customs office. 75,000 more bottles will be sent to Russia before the New Year. Marussia Beverages is a Netherlands-centered wine and spirits production and distribution company. In Georgia it is affiliated with Chateau Mukhrani and GWS brands including Tamada and Old Tbilisi, which are now exported to Russia. 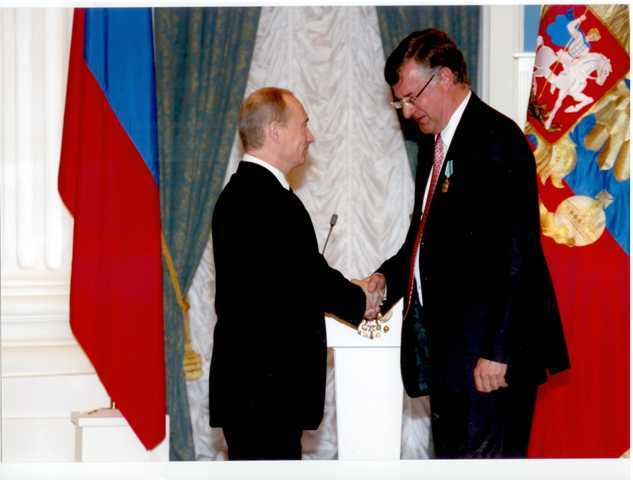 For his activities in Russia Mr.Paulsen was awarded Russian Order of Friendship by President Vladimir Putin.